When someone is injured in Las Vegas as a result of another’s negligence, carelessness, or recklessness, the victim has a right to seek monetary compensation for injuries suffered. Seeking monetary damages is done through a personal injury lawsuit filed in Nevada’s civil court system. Like most lawsuits, a Las Vegas personal injury claim has time limitations. Below is some basic information about this time frame and how it can affect your ability to receive a damages award. The time frame within which an injured victim must file a personal injury lawsuit in Nevada is known as the statute of limitations. In order to protect your rights under applicable law, it is critical that a lawsuit is filed in Nevada’s court system in a timely manner and that it complies with the state’s statute of limitations. Oftentimes, a personal injury lawsuit can take years to be resolved. Nonetheless, it is crucial that the deadline imposed by a statute of limitations is not allowed to pass without any further action. This is true even if you have been working with an insurance company for a long time trying to get the case resolved. You must keep a watchful eye on these deadlines so that your ensure you preserve your right to receive the compensation to which you are entitled. Medical malpractice claims: One year from the date of the injury. It is important to understand that this limit does not mean the lawsuit needs to be resolved or the case settled within the statute of limitations; rather, it simply means that this is the time a victim has to file his or her initial claim with the court. It is not enough to open a claim with the insurance company; a lawsuit must be filed in Nevada’s court system to preserve your rights to monetary compensation. Courts take adherence to the statute of limitations very strictly. Simply put, if an injured victim files a lawsuit in court outside of the deadline, the court will likely dismiss the case and throw it out even if the victim’s injuries are provable and legitimate. 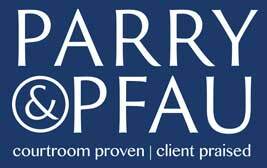 If you or someone you care about has been hurt in Nevada due to another’s fault, speak with the skilled Las Vegas personal injury lawyers at Parry & Pfau today.